One of the most important things we can teach our students is to communicate ideas to others. Multimedia is a great tool to do just that. As educators, we would be negligent if we did not help our students become effective consumers and creators of multimedia. Because I believe strongly in this, I am always on the search for simple tools that allow students to communicate with words, pictures, video, and audio. 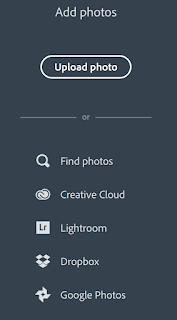 One great option is Adobe Spark - a free tool from the creators of PhotoShop, InDesign, and many other professional design products. Super simple interface with minimal buttons and clutter. Fully web-based and works outstanding on a Chromebook! 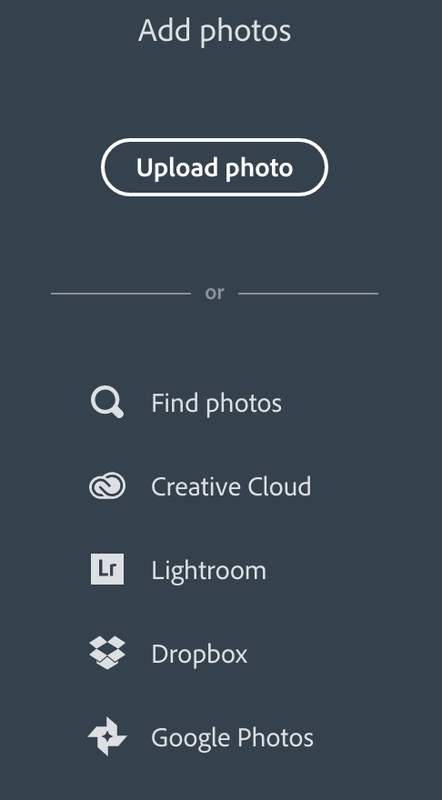 There are three different project options in Adobe Spark - posts (still image), page (mini web-site) or Video (photo slide show). I worked with my two oldest kids to create a short video project on pollution (their science topic for this week). They went out with their Android tablets to take pictures and then we incorporated their photos, text, and voices, into the video project. The project interface is simple enough for elementary age students to easily navigate. Icons throughout allow early readers to navigate with ease. The video project type allows you to select images, add text, and add short voice-over if desired. Adobe Spark automatically applies a fade in/out to pictures (Ken Burns effect) to add interest. A generous library of royalty free music provides background accompaniment. There are 5 page layouts from which you can choose. The limited options keeps things simple and allows project development to progress quickly. Audio recording occurs on each individual page. Simply press and hold the microphone button while you speak. Spark also provides a solid selection of project themes to ensure that the fonts and colors used in your project are easy to read and match nicely. You must chose from one of the provided themes which can not be customized. Adding images is easy as Spark provides a (limited) image library and also integrates with Adobe Creative Cloud, Adobe LightRoom, DropBox, and Google Photos. For our project we uploaded pictures into a shared Google Photo Album and were able to easily access them from Spark. You can also directly upload your own pictures if you wish to get pictures from Google Drive or another storage solution. It was quite simple to collect all of our material, design, and polish our video project. We spent about 30 min. putting everything together (not including taking the pictures). The entire project was completed on an Acer Chromebook. Here is our finished Spark video project! There are a few things to consider before adopting Spark for your next class project. Spark is not collaborative - students will need to share a device if you want to make this a group project. Spark is slow - I was a bit frustrated by the slow loading speed of our project, photos, etc. It works great, you just have to be patient. Adobe adds a "made with Spark" screen at the end of your presentation. You can chop it out if you use a video editor. I was generally impressed with Adobe Spark and will certainly use it for future projects. If you are looking for a simple multimedia project option that works great on a Chromebook, Spark is a great option! Fine article. Speed may be a deal-breaker however. BTW, isn't the "Ken Burns effect" the zoom and pan across a still image, rather than the fade-in/out effect? Follow up: there seems to be an issue loading this, at least from Canada. I'm being prompted for a date of birth, accompanied by a "why are we collecting this link?" that doesn't actually answer why this is needed. OK... seems you must supply a date of sorts. I have it running. It's pretty cool. Thanks for this. And it's pretty responsive. Good to hear. The slowness I was experiencing seemed to mostly be when I was connecting to an external service (Google photos in my case) or when working with the background music. Our fifth grade students are also completing projects using SPARK pages this week. They present on Monday. One issue that we had for our young students was account creation. Even when signing up through Google, the students had to indicate their birthdate to create an Adobe ID. We don't want our students giving out this personal info, so the teachers had to create on account that all students shared. Adobe's SPARK education guide suggested this solution. We delivered a BIG digital citizenship talk before embarking on this project since all students would have editing rights on their classmates' projects. So far, the talk has worked! Hmm, yes, that could be an issue. I suppose you could just put in a date, not their BD. You would need to make sure that the date is older than the minimum age. According to Adobe's educator guide (https://goo.gl/ed8Cau) students under the age of 13 are allowed to create an account provided it is under the supervision of a teacher or parent. I am encountering the same account creation issue with our 7th grade students that are not yet 13. Even when using their district google accounts to login, they are still prompted for a birth date. I suppose one workaround is to use a date that mimics them being 13 while using their district account. I wish Adobe would come up with a better solution for educators.